Is your hair dry or fragile? Try a walnut oil hair treatment! Cheap, easy to make, and effective! This omega 9 rich oil is deeply nourishes your hair and helps regulate sebum production. Beat the eggs. Add more or less walnut oil according to your hair length. The mixture must be applied right to the tips. Warm the mixture for a few seconds in the microwave so that it better penetrates between the hair scales. Spread the mixture all over your hair, from the roots to the tips. Leave for 10 minutes, then rinse thoroughly finishing up with a jet of cold water to add shine and close up the scales. Repeat once a week for soft hair full of shine! Our feet spend the whole winter stuck in shoes and boots! Before rediscovering sand, flip-flops and sandals, it is recommended that you give them a bit of pampering and beauty therapy! And in just two steps of homemade treatments, your feet will be supple and soft once again! Fill a basin three-quarters full with hot water. Add a handful of coarse salt and a dessert spoon of Ylang Ylang essential oil. Mix well. Immerse your feet completely in the water for 15 minutes. Ylang Ylang essential oil is renowned for its moisturising properties. It also strengthens the nails and its characteristic fragrance helps you to relax during the foot bath. This first step enables you to improve the health of your skin and soften dead skin cells. To exfoliate more thoroughly, you can use a pumice stone after the foot bath. In a bowl, mix the walnut oil, honey and lemon juice. Apply to the whole foot up to the ankles. Leave for as long as possible (ideally overnight, with socks). Chill the rest of the mixture. Remix regularly for long-lasting effects. Rich in polyunsaturated fatty acids, walnut oil promotes skin regeneration, repairs the top skin layers and delays the ageing process. In a bowl, mix together the clay and the Inca Inchi oil. Add the drops of Everlasting Flower essential oil and mix well. Leave on for 15 minutes. Rinse with warm water. To prolong the benefits of the mask, you can apply a small amount of pure Inca Inchi oil to your face, neck or décolleté. Inca Inchi oil has the benefit of being dry to the touch. It is very rich in the antioxidant vitamin E and is the richest vegetable source of omega 3. Nourishing, moisturising and anti-ageing, this oil can also be used in cooking, improving the body’s wellbeing and your inner beauty too. 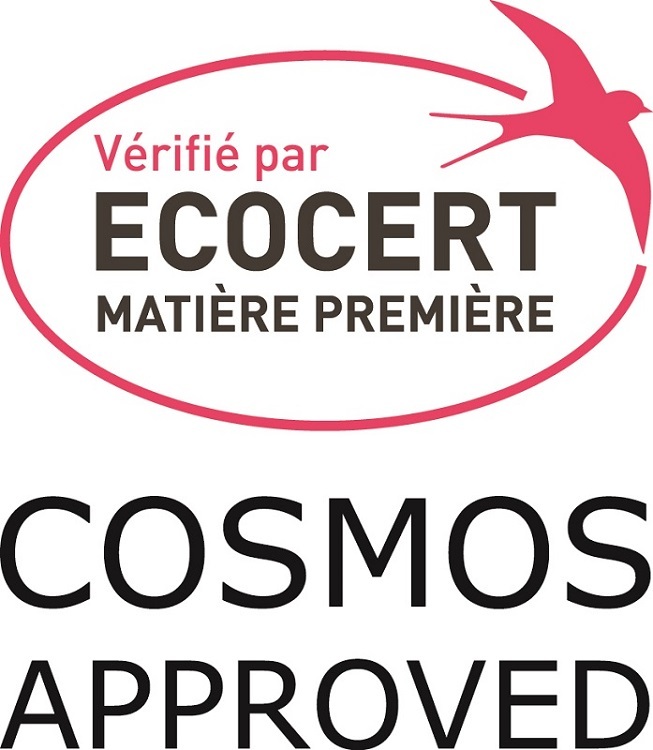 Perles de Gascogne offers a rapid and effective make-up remover with plum oil. This oil has a pleasant feel and a delicious fragrance, with the added advantage that it is great for brightening skin tone! Why not treat yourself? Dampen the sponge in the hot water and place a large drop of oil on it. Wipe over the whole face. Keep repeating this procedure until all the make-up has been removed. or rinse off with the floral water of your choice. The plum oil is produced from authentic Agen prune kernels. This oil is rich in oleic and linoleic acids and helps to keep the skin supple and firm. 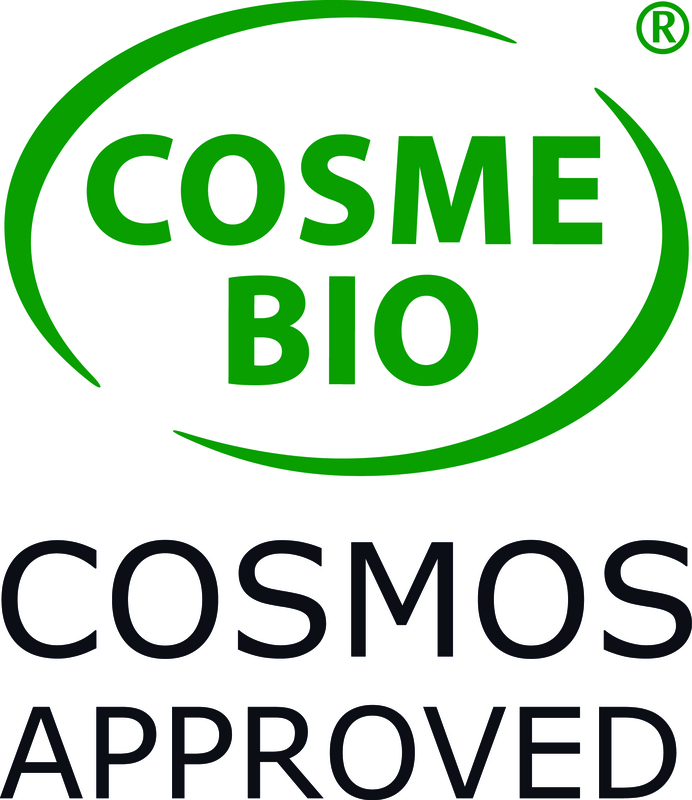 It is particularly recommended for reactive, dry and mature skins. 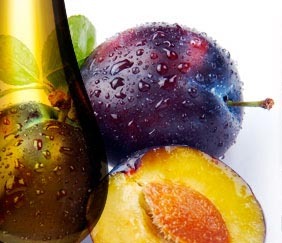 To discover all of the plum oil qualities, visit the beauty page of the Prune Kernel Oil website. The “orange peel” or cellulite phenomenon affects nearly all women, whatever their body size and shape. and stage 3 cellulite (very pock marked skin and painful during subdermal massage). There is no miracle cure to make it disappear, but a combination of massage and targeted treatment will help promote drainage and reduce the unattractive appearance on the skin surface. Here is a cheap and easy homemade anti-cellulite treatment! Pour the hazelnut oil into a 100 ml bottle. Add the lemon grass, geranium and rosemary essential oils. Massage the areas to be treated (thighs, tummy, buttocks) with this mixture every morning and evening. Discover a few anti-cellulite massage techniques in this Minute Forme video. 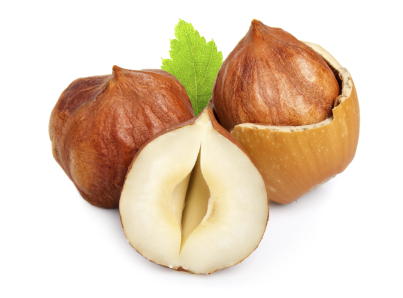 Hazelnut oil is a natural antioxidant, recommended for the skin for its nourishing, healing and repairing properties. Together with the essential oils and the massage movement, this homemade treatment enables you to reduce the “orange peel” effect. It must be applied twice a day for several weeks in order to obtain the desired results. To discover all of the important properties of hazelnut oil, visit the Hazelnut Oil beauty page. Hand and nail treatment in 10 minutes flat! Today, Perles de Gascogne offers a really easy, plum oil based recipe so you can pamper your hands at home! Renowned for its nourishing, soothing and protective qualities, this oil has the double advantage of softening and moisturising your hands whilst also strengthening your nails. It only takes a few minutes to prepare! The added pleasant fragrance of the prune kernel oil ensures that the nail treatment is a true moment of relaxation… The lemon whitens your nails and helps reduce brown spots on the skin caused by smoking, sun exposure and ageing. Give it a try! Pour 100 ml of warm plum oil into a bowl. Mix well and place the tips of your fingers in the mixture, so that the nails are totally covered in oil. Leave to soak for 10 minutes. Remove your hands from the bowl and massage your whole hands with the mixture until it is fully absorbed. Make a new mixture every week. https://www.perles-gascogne.com/wp-content/uploads/2014/05/huile-prune-bandeau-H200px.jpg 200 227 nathalie https://www.perles-gascogne.com/wp-content/uploads/2017/09/Logo-PdG-72dpi-01.png nathalie2014-08-30 15:20:082014-08-30 15:20:08Hand and nail treatment in 10 minutes flat! Shimmery oil recipe kindly provided by Laboratoire Centiflor. Discover the recipe at www.huiles-et-sens.com. This golden shimmery oil with a fabulous fragrance nourishes your skin, making it satin smooth. 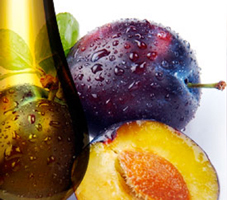 – The plum oil nourishes, softens and repairs the skin. 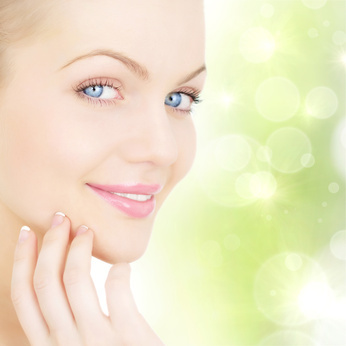 – The aloe vera macerated oil moisturises and firms the skin. – The Coco Caprylate gives a silky smooth feel. – The Benjoin essential oil repairs and tones, with a lovely vanilla fragrance. You can use this dry oil on the hair and the body. Weigh the Coco Caprylate in a measuring jug and warm in a bain-marie to 90°C. Weigh the Rheopearl in the small dish and sprinkle into the Coco Caprylate whilst whisking until it is completely dissolved. Once the Rheopearl is completely dissolved, leave to cool to room temperature. Once at room temperature, add the Step 2 ingredients to the jug, using a spatula to mix well after each addition. Weigh the mica in a small dish and add them to your dry oil, mixing all together well with a spatula. Add the essential oil and mix again with the spatula. Bottle the shimmery oil once it is well mixed and smooth. Massage on to the body or apply to the tips of your hair to smoothen. 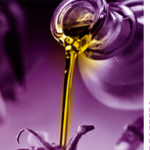 Stop using the oil should you notice even minimal changes in its appearance or smell. Hair oil recipe kindly provided by Laboratoire Centiflor. A nourishing oil with a delicious fragrance of plums and ylang ylang essential oil, to be used as a mask treatment before shampooing. It strengthens the hair and makes it softer and easier to style. This treatment is suitable for all hair types, for dry and damaged hair. Measure into a jug the Step 1 ingredients, in the order written above, and warm to 50°C, mixing with a spatula. Once the Mango Butter has melted completely, leave the jug to cool at room temperature. Measure and mix the Step 2 ingredients, then pour the mixture into the Step 1 jug. Mix well with a spatula and bottle your haircare oil for use. 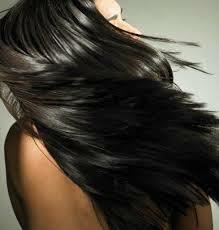 Gently soak the tips of your hair; if you have long hair and dry ends, use the product on all of the hair. Leave in for 1 to 3 hours before shampooing. Rinse well. Shake before use. Should you notice any change in appearance or smell, cease using the product. Recipe for exfoliator kindly provided by Laboratoire Centiflor. The salt acts as an mechanical exfoliant to remove dead skin and calluses. The Inca Inchi oil helps to heal and repair the skin. The Ghassoul works as a gentle cleanser and remineraliser. The combination of essential oils provide natural antiseptic (Lemon, Tea Tree) and improve circulation (Rosemary Cineole), giving you healthy and rested feet. Mix together the Inca Inchi oil, essential oils and the vitamin E.
Pour in the salt, mix well and then add the Ghassoul, creating a smooth mixture with a spatula. Apply to damp feet making slow circular movements, paying particular attention to rough areas and the nails. Rinse well and dry with a clean towel. Expiry: To be made just before use.